Posted by arnabbanerjee87 in After Dickens, Dickens 2012. Shritama Bose was raised inJamshedpur, where she attendedSacredHeartConventSchool. 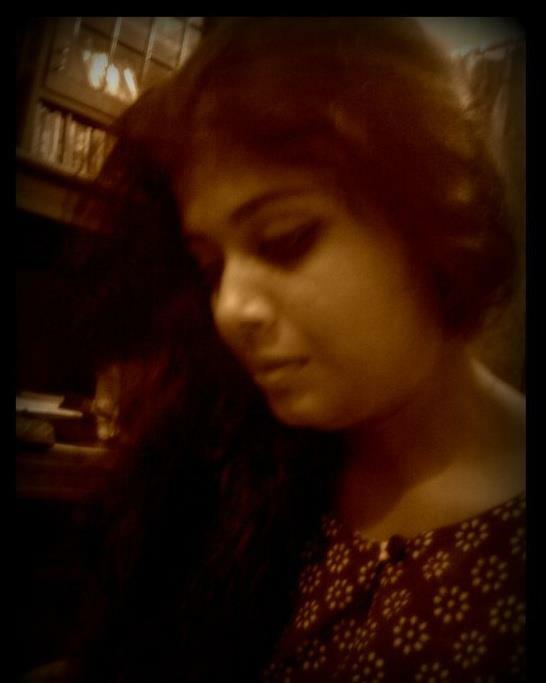 She is currently a second-year undergraduate student of English atPresidencyUniversity,Calcutta. Her interests include reading, debating, writing, and quizzing. The man used to sit on the pavement in front of the florist’s shop. I had seen him on the first day when I had gone to place the order for the flowers. He would sit there on a faded tarpaulin sheet in a tattered blue-and-white polyester shirt. His wrinkled face was framed by tousled salt-and-pepper hair, with the salt overpowering the pepper by far. He worked with shining brass-like wires, shaping them into bicycles and cycle-rickshaws of at least three different sizes. As he worked assiduously at them, a constant unfading smile played on his lips. As I approached him for a better view of his artifacts, he looked up at me. The smile was still there; he was directing it at me, not smiling at me. His eyes creased into wrinkles as he did that. I knelt down to examine one of the largest pieces. I was taken aback by the sheer quality of the work. It testified to being the handiwork of a true craftsman- the bends in the wires were smooth, the knots strong yet subtle. Particularly remarkable was the way in which the thinnest of the wires had been interwoven into a mesh of kite-like shapes to create the seats of cycle-rickshaws. If this man had indeed crafted the pieces himself, he deserved a station higher than a spot on a Lajpat Nagar pavement. I found out the prices- the smaller of the biycles were worth Rs 10 each, the bigger worth Rs 25, the small and big rickshaws worth Rs 35 and Rs 70 respectively. I wanted a rickshaw with its mesh-seat. However, having had my share of raw deals in the city, I did not dare to go for the biggest one. I settled for a small rickshaw, duly handed over to me with a- rather the- smile. As I walked out with my flowers, I turned to look at that spot. The tarpaulin looked more faded than ever, the smile did not. Hey thats a sweet story…Its short but I’m sure “The smile” will stay with me for long! Thanks a ton, Farheen! That really means a lot. Very sensitive yet sharp portrayal. I didn’t read it; I viewed it, such is the power of your narration. I would love to learn the craft from you.